There’s nothing like sleep for feeling good and being healthy. And there’s nothing like Shleep for getting the very best sleep. That’s because of our special main ingredient—the super-soft, thermal- & moisture-managing Merino. It’s the material that works miracles to get you to sleep more quickly and keep you in the deepest slumber all night long. 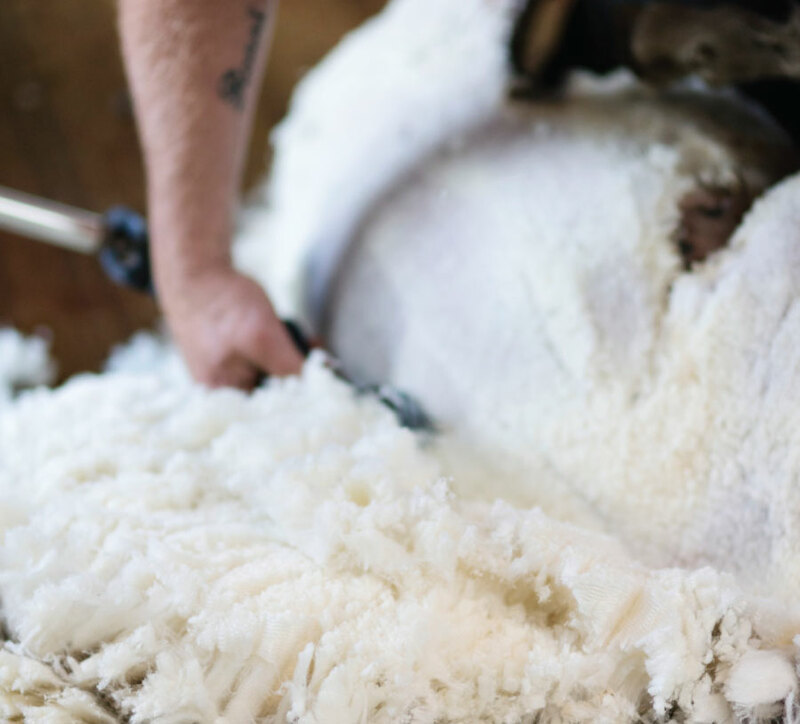 For clothing and interiors, wool’s quality is determined by the fineness of its fiber, measured in units called “micron.” The smaller the number, the softer the feel and the more comfortable the experience for you. The average sheep produces wool of 25 micron or above. If you’ve ever thought of wool as itchy or “hot,” this coarser wool against your skin is what led to that misconception. Merino produces wool of 24 micron or less, which makes for a softness of material that’ll change your mind. 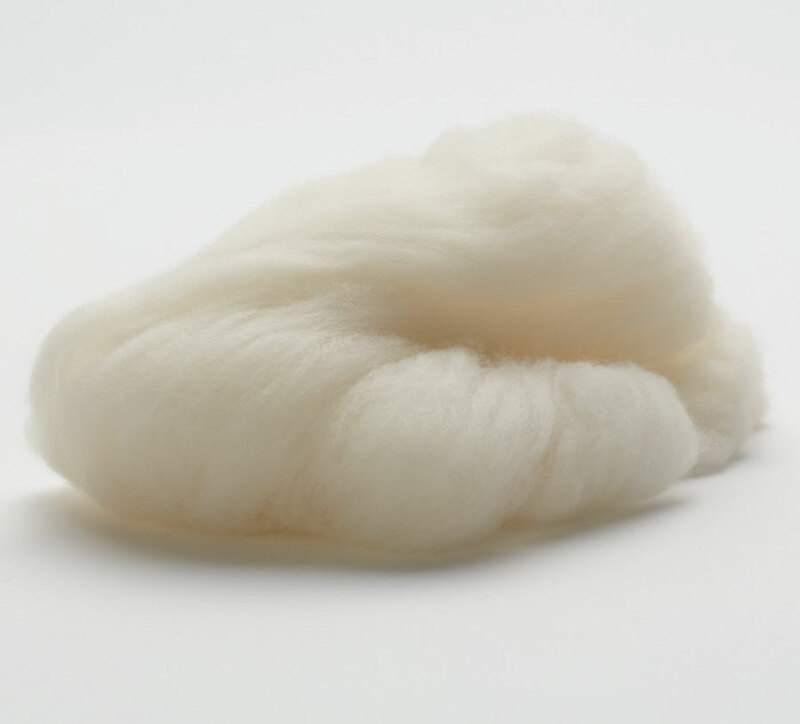 On another level, there’s the rare fine Australian Merino–the only sheep on earth that can produce sub-20 micron wool to rival silk and cashmere. 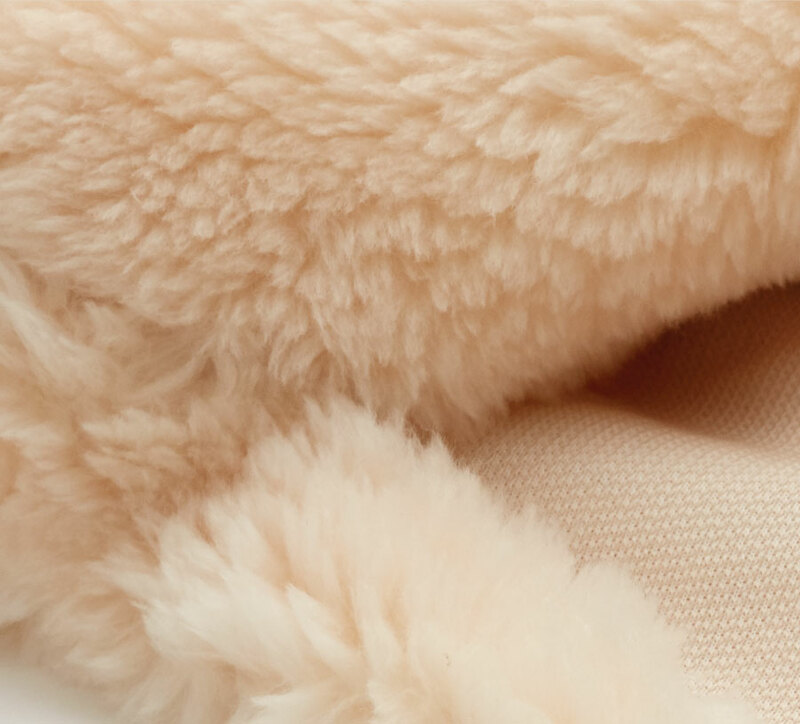 For its supreme softness and durability, its miraculously natural thermal and moisture control characteristics, it’s prized by textile and fashion designers the world over. And that’s why we use it. For you, your perfect sleep, and your even better tomorrow. While the Merino we use is prized for its fineness, the softness of its feel and high functionality against our skin, Downs is coarse — 32 micron to ne Australian Merino’s sub- 20 — and it’s coiled. That gives it a lofty, springy cushiness and recovery strength as padding and filling for the things we sleep and bounce on. So we’d never make the “body-side” of a quilt or duvet cover out of it, but Downs is perfect for luxuriously pillowing everything we make that’s soft on the inside. What if we told you we made an ultra-soft fabric from 100% 18.5 micron Merino wool, and by undergoing the mercerisation process it delivers a super-soft hand feel of 17 microns. 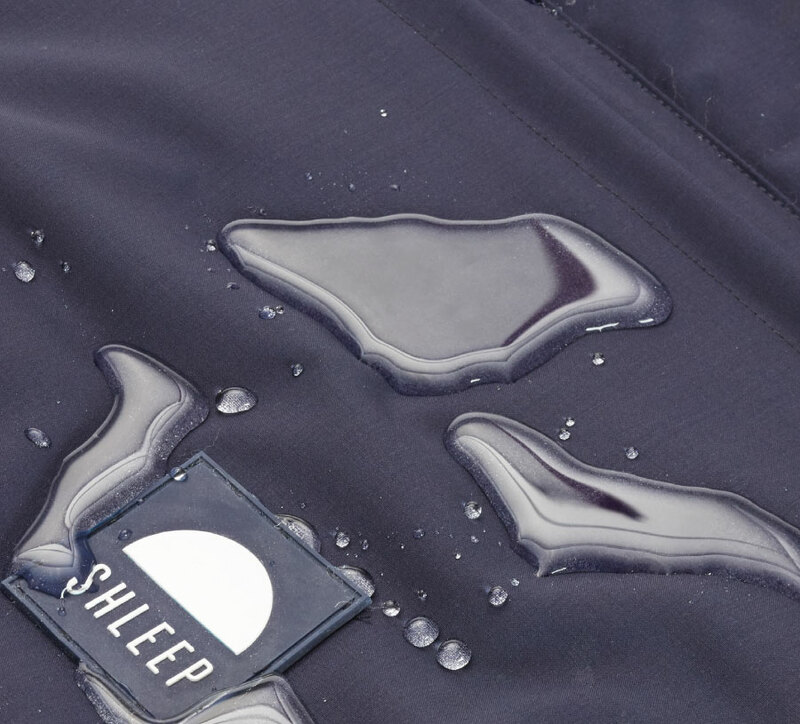 But the innovation doesn’t stop there: by weaving the fabric a special way, we amplified Merino’s already impressive breathability, thermal and moisture regulation properties to deliver a stain and UV protected fabric, while adding water and wind resistance. Oh, and it’s machine washable. You’d tell us you’d want it for the whole family in the sun, wind, rain and snow. 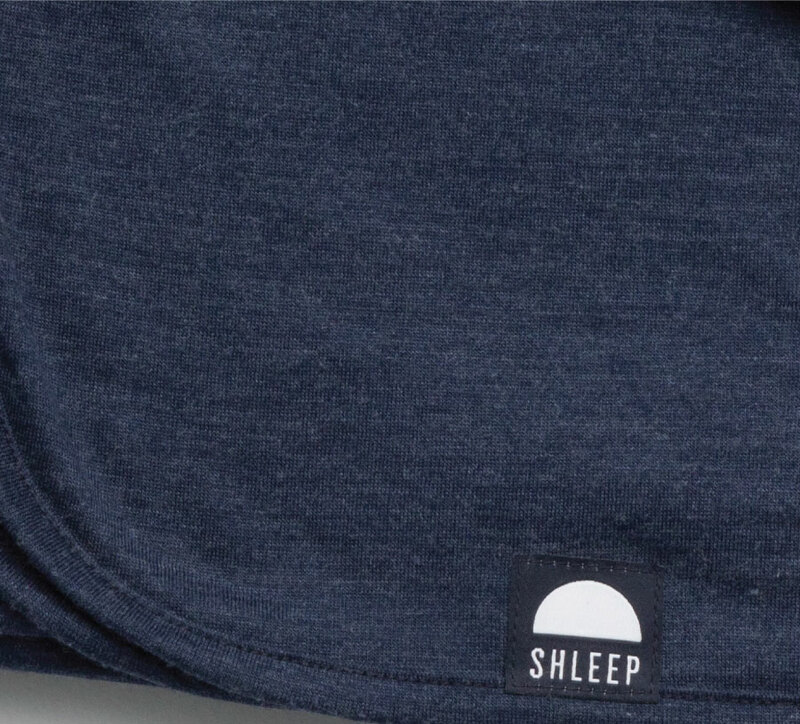 We’d tell you, “great.” It’s called Shleep Tight™ Merino. We love the feeling of sleeping surrounded by a lavishly thick sheepskin or “lamb pelt,” but we don’t love what it takes to make it. 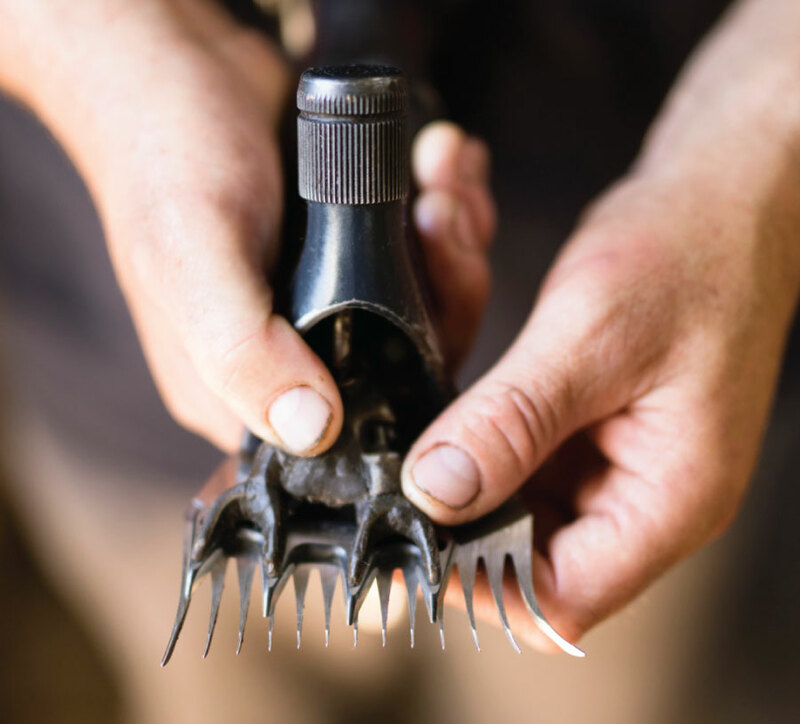 And while other brands have created products that give us an experience vaguely similar to sheepskin through more humane processes that keep sheep from harm, we’ve innovated to another level entirely. Our ShleepSkin™ is made with our patented “yarn knit” technology, a method that uses a fabric backing that’s perforated for super breathability and extra thermal and moisture regulation. The technique also allow us to use longer fibers, and much finer 20 micron Merino wool to “knit” fleece with a thicker, more durable pile and a ridiculous softness that’s far superior to other products on the market, including, dare we say, the good old sheepskin itself. Super soft material made entirely from 18.5 micron, ultra new Merino wool, with brilliant breathability in addition to temperature and moisture control and hypoallergenic properties inherent in all our wool fabrics, fibers and products. Our jersey material is woven with a certain looseness that allows for super stretch, gossamer-like transparency and lightness, while still ruggedly standing up to machine washing, our Merino Jersey is a perfect choice for our baby swaddles, beanies and booties and a significant upgrade to the traditional cotton or muslin alternatives – yes even in those warmer months! 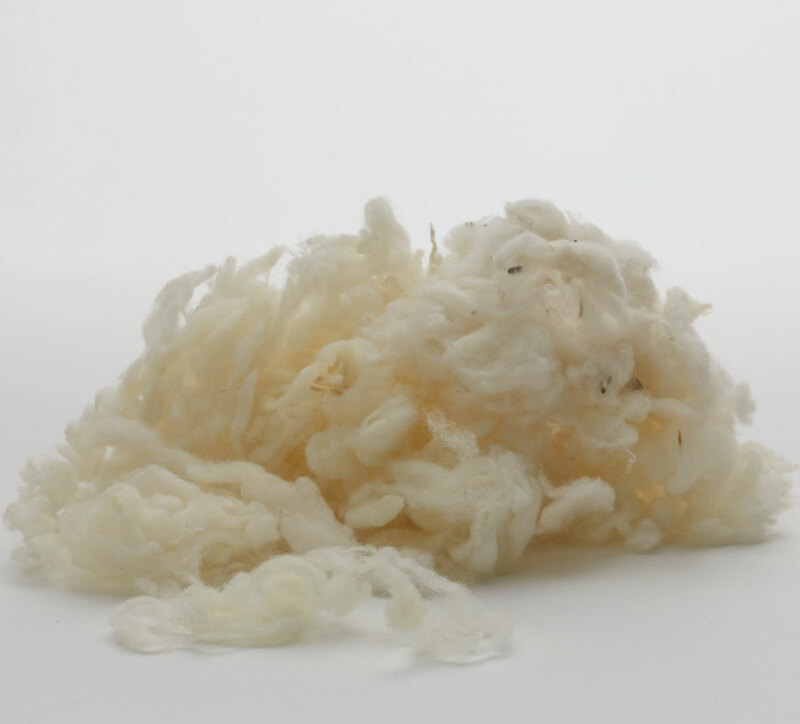 Ultimate softness with a silky smoothness, which makes a lot of sense, considering the material is comprised of 86% 19.5 micron ne Australian Merino and 14% of the nest silk. 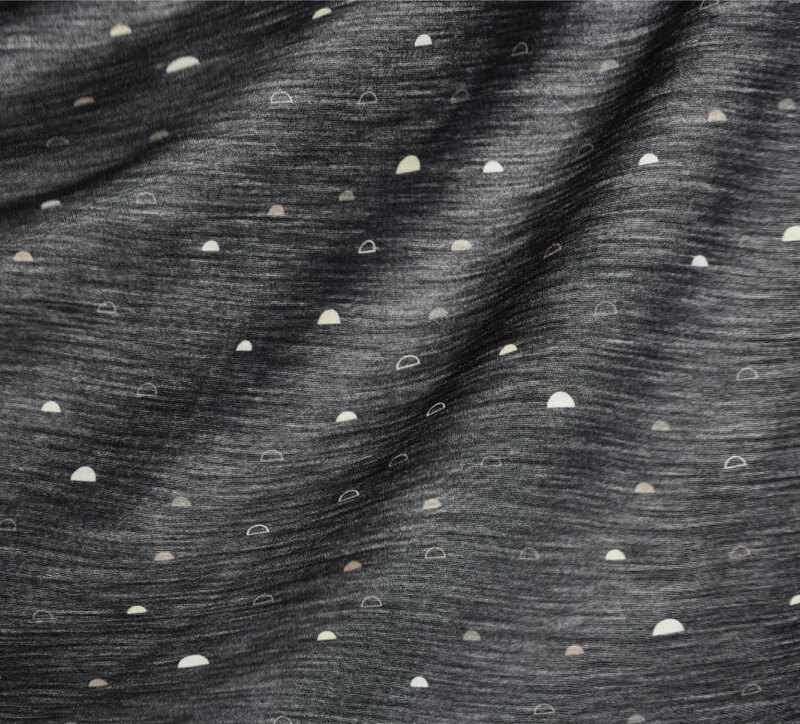 This fabric possesses all the breathability, moisture and thermal control characteristics of all our fine Australian Merino wool, and the added feature of UPF 50+ protection – amazing qualities that make our Merino Silk another perfect choice for our baby products (and shhhh soon-to-be launched Shleep sleepwear for adults too). And on top of all this, we think its sophisticated color palette and amazing drape will make even our most fashion-forward parents happy to ‘wear’ a swaddle in some way themselves. The perfect material for those who prefer a traditional feel of brushed cotton, with a slightly more velvety texture and the addition of breathability that comes with blending 8% of our Merino Jersey with high quality cotton. 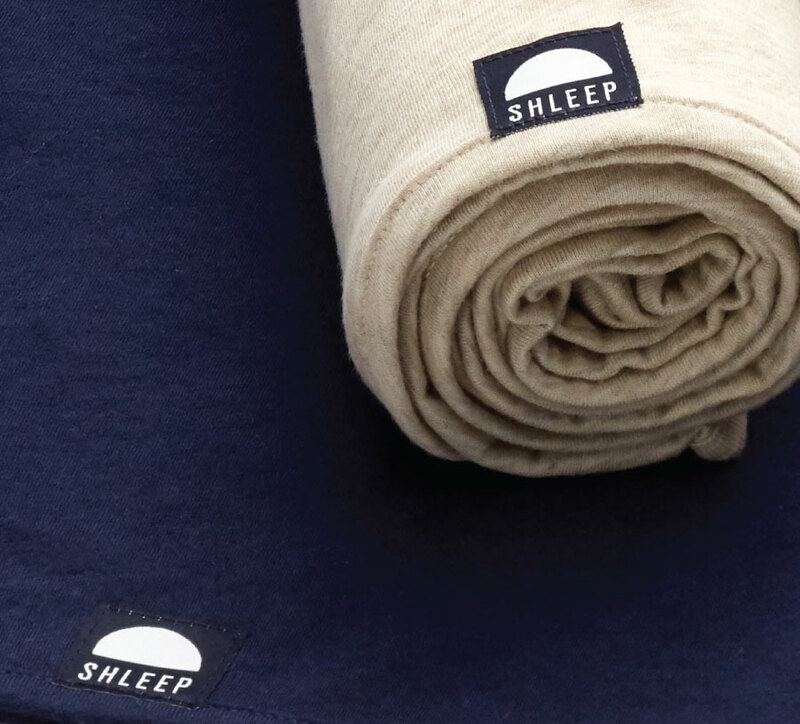 This fabric was a natural choice for our baby swaddles not only for its super soft feel, but also because it’s super easy to care for, getting softer and softer after each machine wash.
Shleep has been awarded the Eco-Age brandmark in recognition of the creation of a brand with wellbeing at its heart, innovating with natural fibres to positively impact the bedding, sleepwear and sleep accessory market through the development of ShleepTight™ and ShleepSkin™ fabrics. 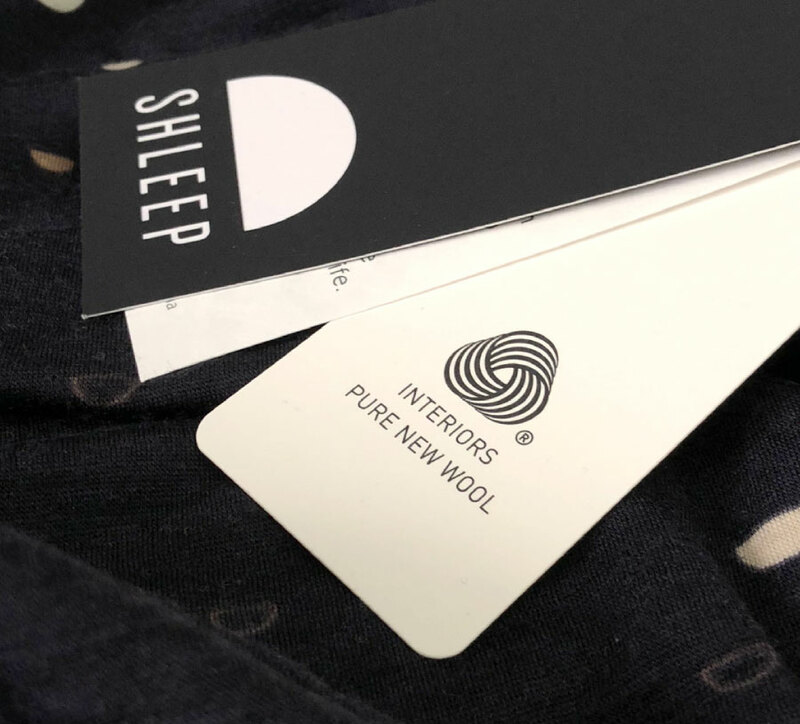 Shleep is proud to be a Woolmark licensee, with our wool products certified to use the iconic Woolmark logo. 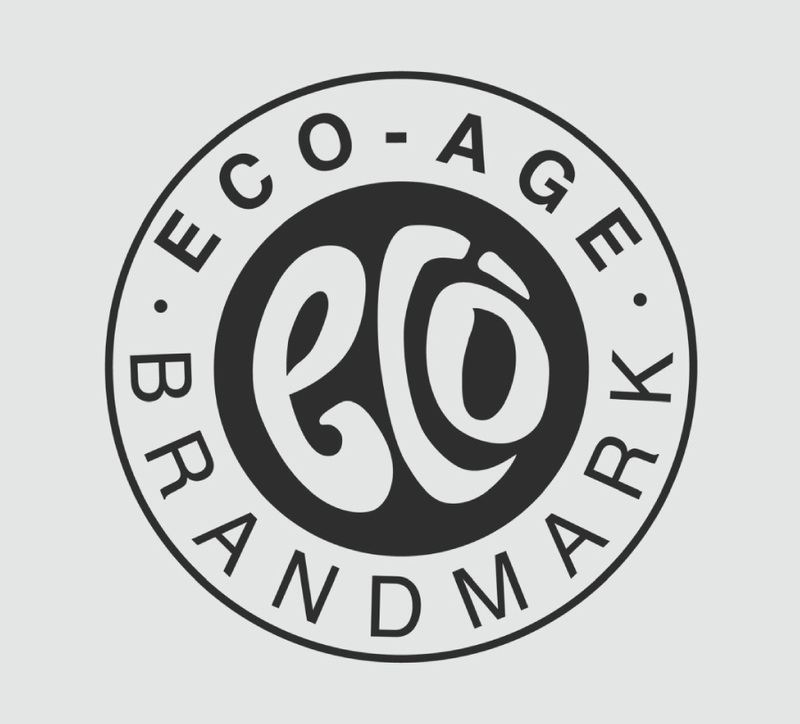 As the world’s best-known textile fibre brand, the Woolmark logo guarantees quality and authenticity, giving customers peace of mind when they buy a product bearing this mark. Because Merino is generally resilient, and naturally stain and odour resistant, our products are naturally wash irrelevant. But when it is time to clean, you’ll find Shleep to be very user friendly. Check your specific product’s care tag, but most of our items stand up well to machine washing. And most of our products can be tumble dried too. Again, check your tag. We’ll be clear about when it’s best to air dry or dry clean, or when any other special care instructions would best be followed. Merino wool fibers have a natural protective outer layer that helps prevent stains from being absorbed. And because Merino wool tends not to generate static, it attracts less dust and lint. At microscopic level, each Merino wool fiber is like a coiled spring that returns to its natural shape after being bent. This gives Merino wool garments a natural resistance to wrinkles.